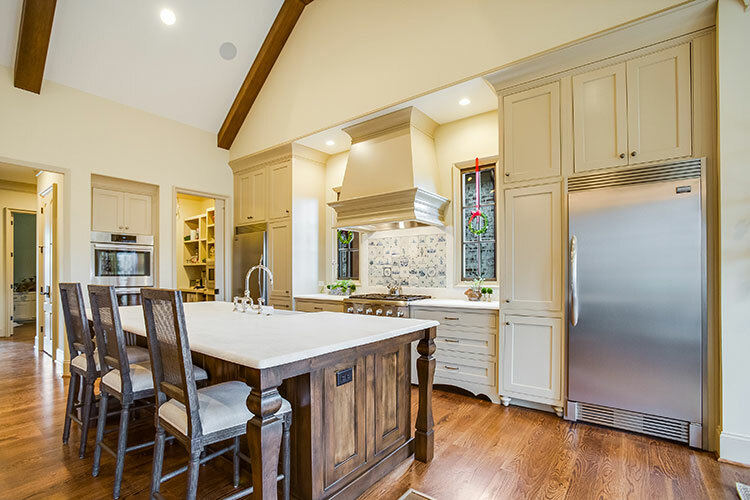 Honed Marble Countertops are featured throughout this beautiful home built by Byrom Building. 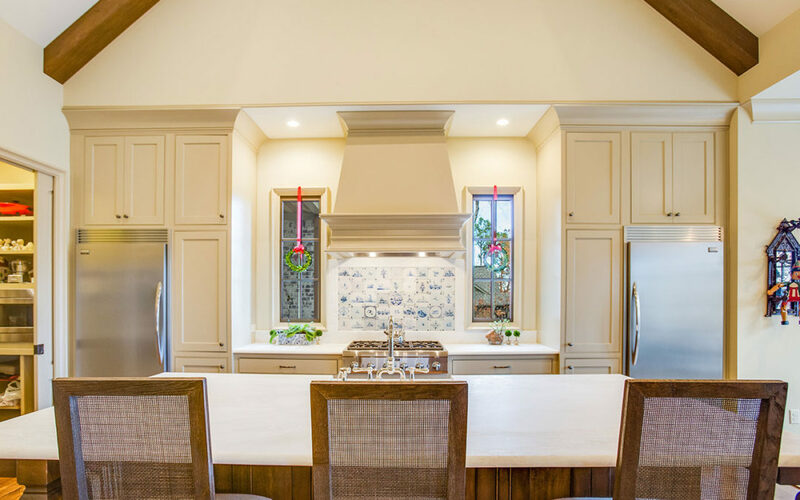 Decorator Cameron Mobley carefully selected each slab of natural stone to complement the features of each room. 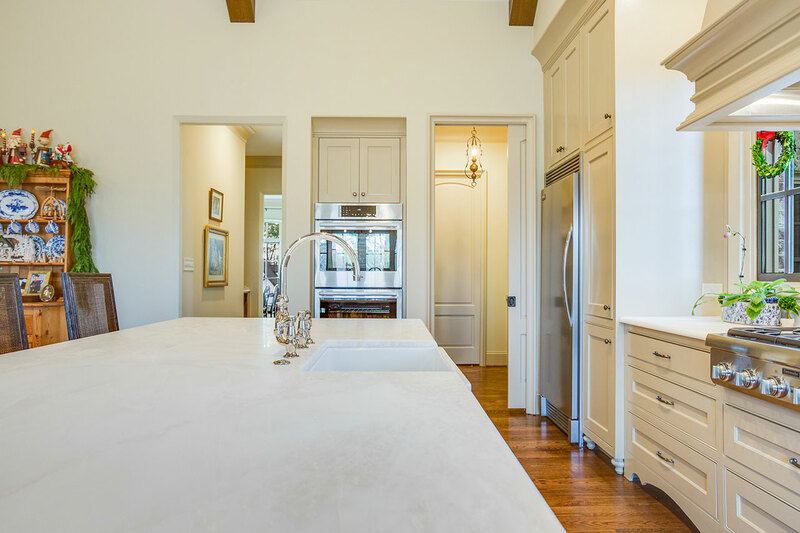 Mystery White Honed Marble with a half bullnose edge is featured throughout the kitchen and on the kitchen island. The honed marble has a satin-like feel and is more scratch resistant than polished marble. 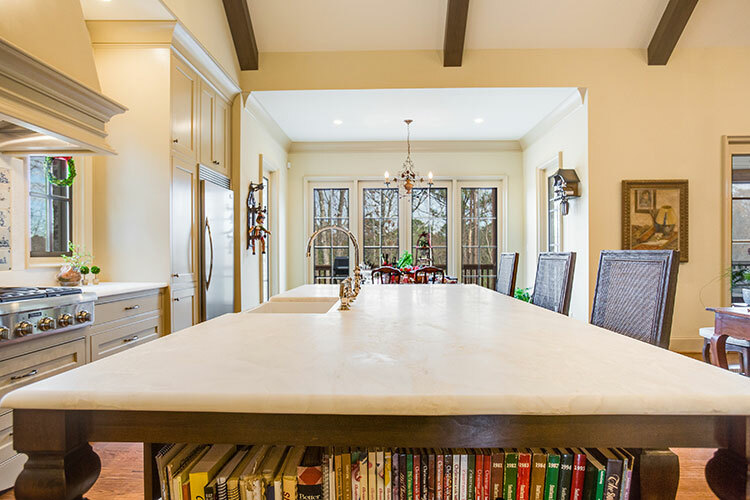 Marble Kitchen countertops were fabricated and installed by Surface One. 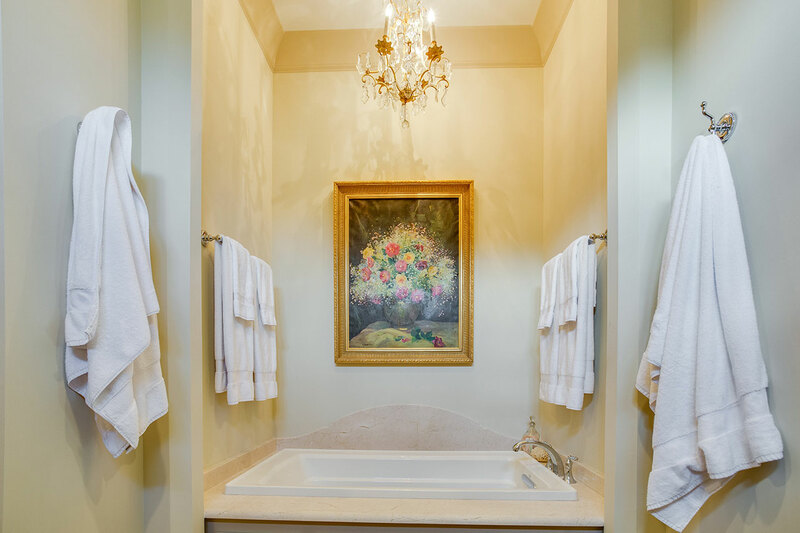 The Master Bathroom features Crema Marfil Honed Marble countertops and tub surround with custom fabricated edges and backsplashes. 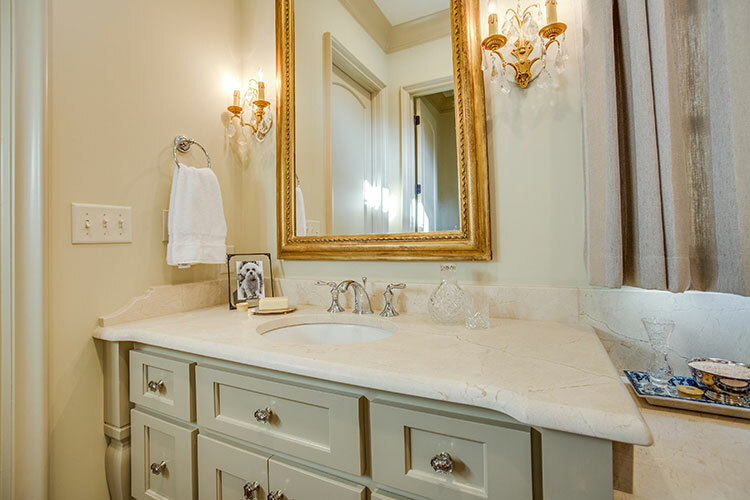 The Crema Marfil Marble is a creamy beige natural stone with gold veining that complements the bathroom design. 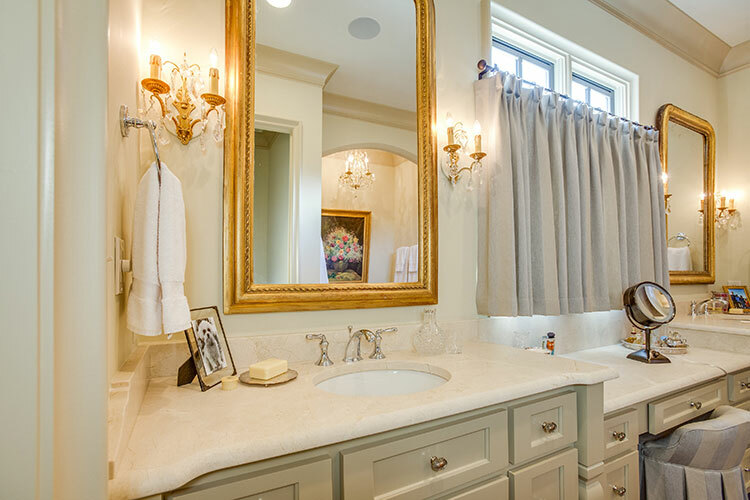 Marble Bathroom countertops and tub surround were fabricated and installed by Surface One. 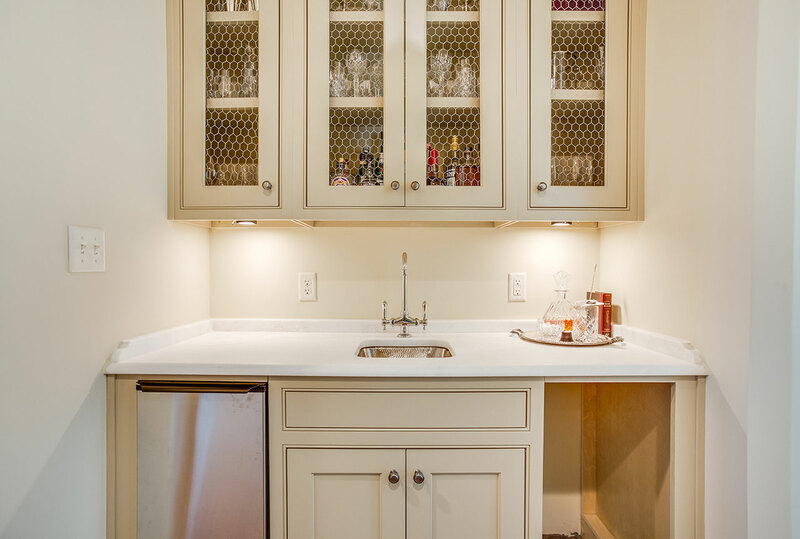 The butler’s pantry wet bar is conveniently located between the dining area and the kitchen. 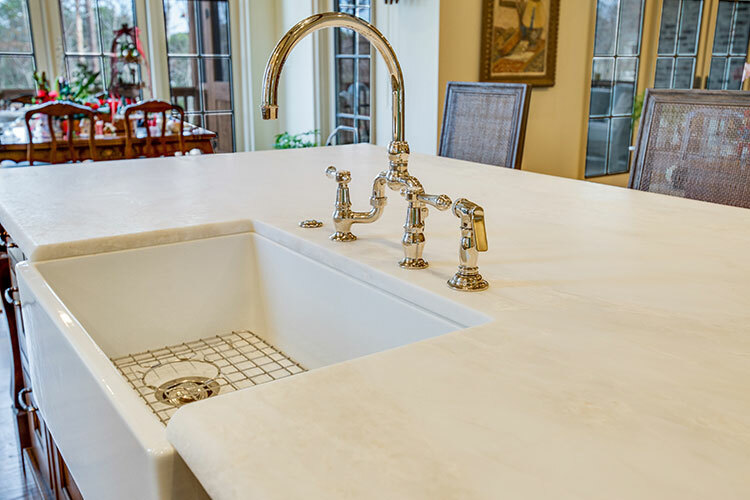 Mystery White Honed Marble countertop is accentuated by a 2″ backsplash with decorative edging custom fabricated by Surface One. 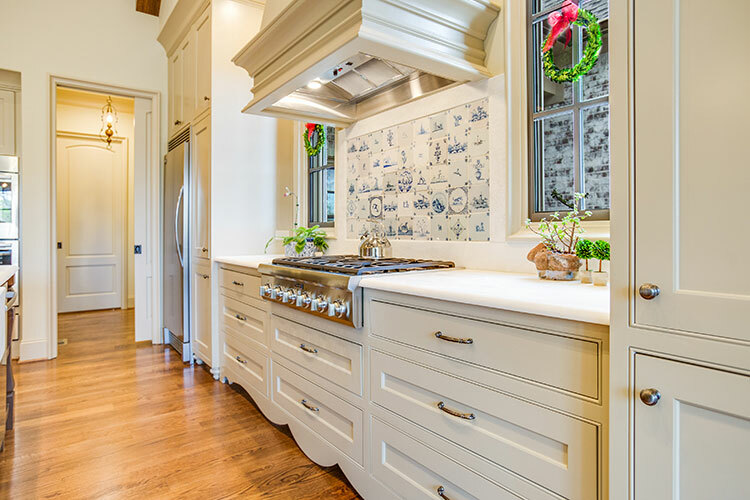 The focal point of the Powder Bath is the Alpes Blanc Honed Marble Countertop and the custom fabricated backsplash that connects with the antique wall mirror. 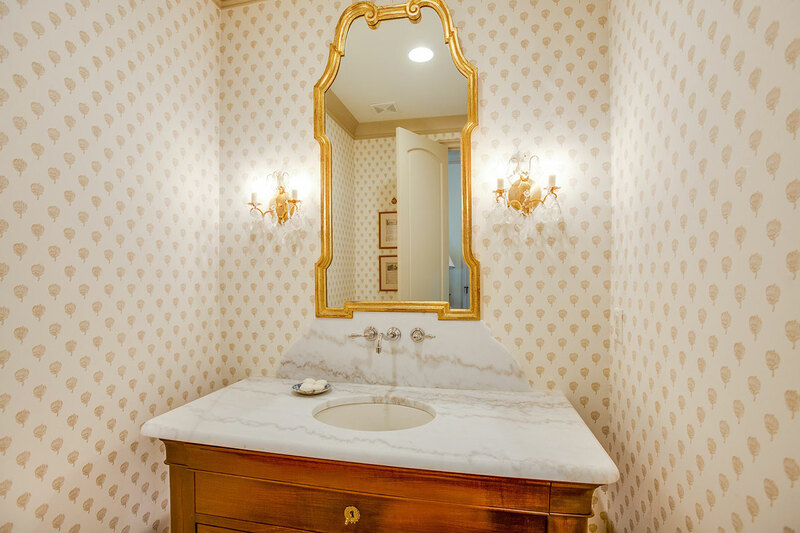 The smooth honed marble with distinct veining ads luxury to the opulent power bathroom. Surface One custom fabricated the countertop with a half bullnose edge and custom cut the backsplash to host the faucet and perfectly match the shape of the mirror.